Nestled in the foothills of the Smoky Mountains, Pigeon Forge is the best family resort for a reunion. Whether you’re planning a small or large gathering, you’ll find great accommodations, attractions, restaurants, and meeting facilities that are family-friendly, affordable and easily accessible. 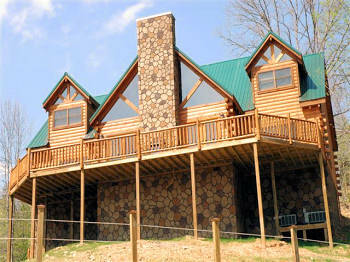 Pigeon Forge group cabin rentals are a fun way for families to enjoy the great outdoors with all the comforts of home. 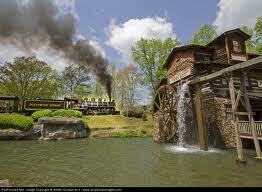 Pigeon Forge, Tennessee is located just off Interstate 40 (about 12 miles from I-75 Knoxville). The Smoky Mountains is within a day’s drive of 2/3 of the US population east of the Mississippi River. Gatlinburg-Pigeon Forge is one of the most travelled to drive-to destinations in the East. There is so much to offer families when they’re seeking a vacation or reunion in the beautiful Smoky Mountains. You can plan on enjoying the natural and commercial sights! Travellers enjoy visiting the Great Smoky Mountain National Park. This park has lots of history, wildlife, waterfalls, hiking paths, and pioneer landmarks for your enjoyment. Vacation homes consisting of chalets, cabins, and mountain villas are prevalent in the area. These vacation rentals offer luxury amenities, affordable pricing, and scenic outlooks. Come visit with your families in 2011!